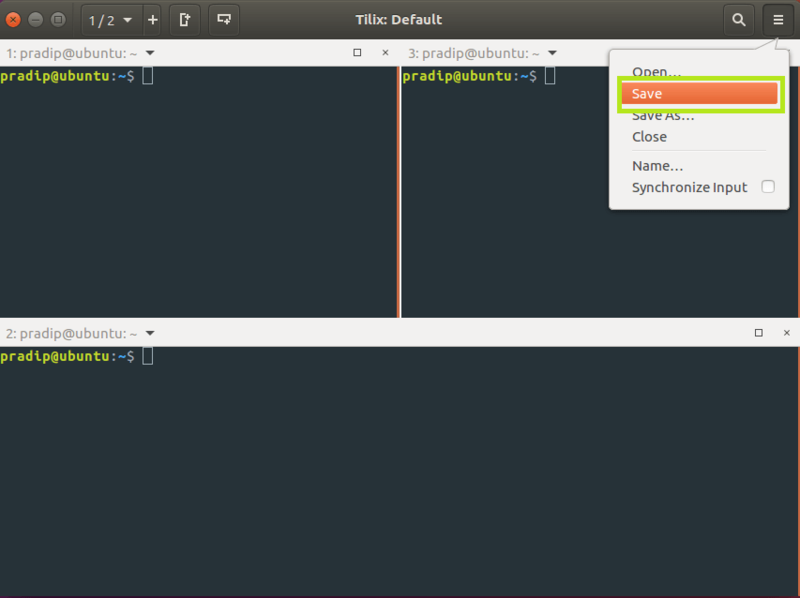 Tilix is a tiling terminal emulator for Linux based in GTK+ 3. 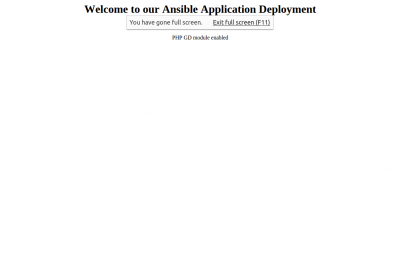 It has some interesting features that improve the user experience when using the terminal. It's a cross-platform widget toolkit for creating GUIs. 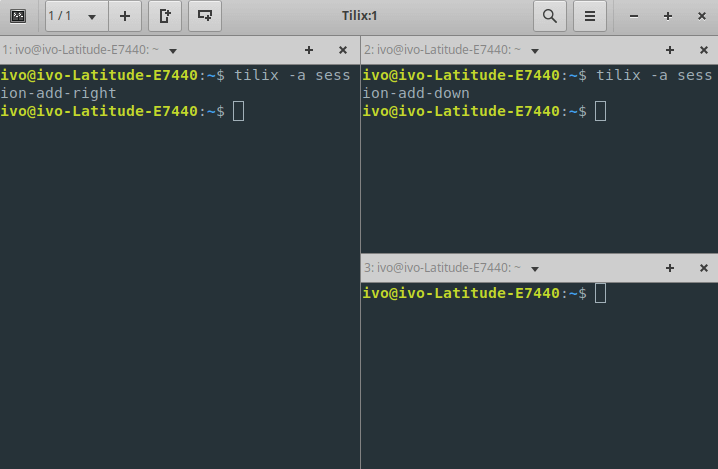 Tilix uses its latest version (Ver. 3), so you will expect from this tool to have a stylish and modern user interface. That seems cool. Now, what does tiling really mean? It means that you can tile your open terminal windows forming a mosaic, which helps the user to have them organized and to see them all in the same workspace. Do the same with AUR - tilix. Now I'll show how to use some of the features that make this little tool interesting. If you want further information, feel free to check the official documentation. You can execute some actions by typing $ tilix -a <action>. The parameter --action can also be used. This tool has themes support. They are easy to create and configure because they're stored in json files, so you can change their parameters in a simple way. 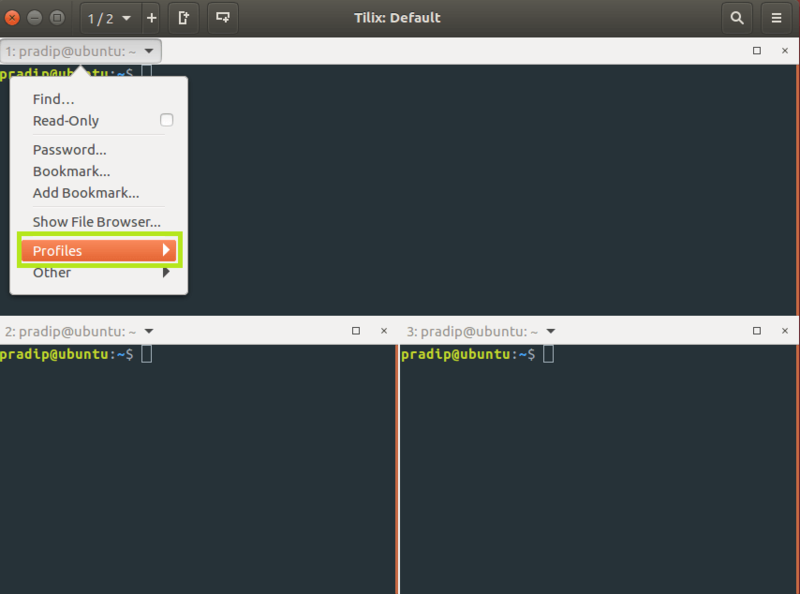 Default themes are located in /usr/share/tilix/themes. 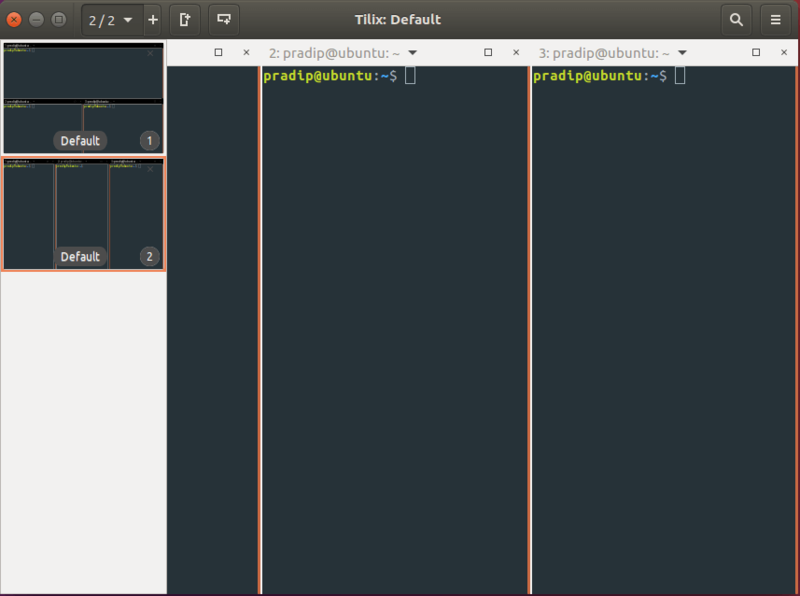 User themes are located in ~/.config/tilix/schemes. You can place your custom themes there. You can take this one as a layout and customize it to create your own theme. There is support for customized titles. 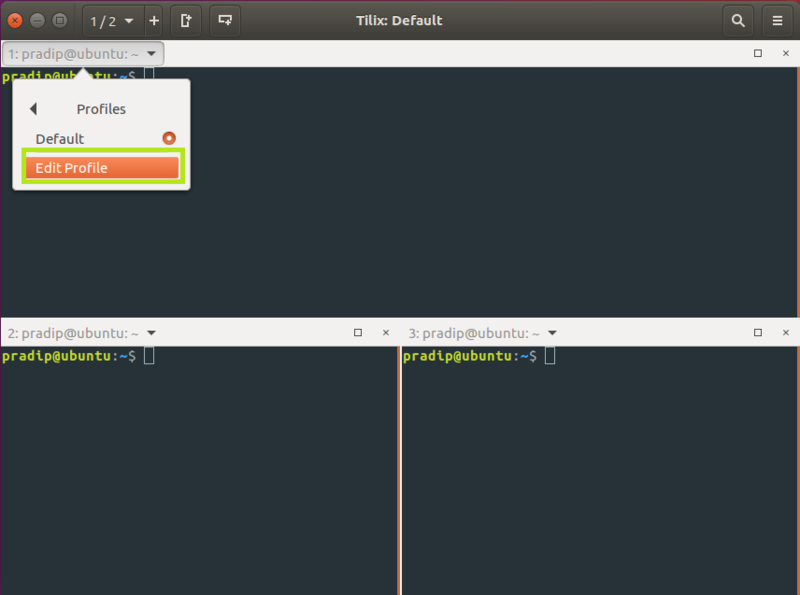 You only have to set what variables do you want to be displayed in the terminal title. 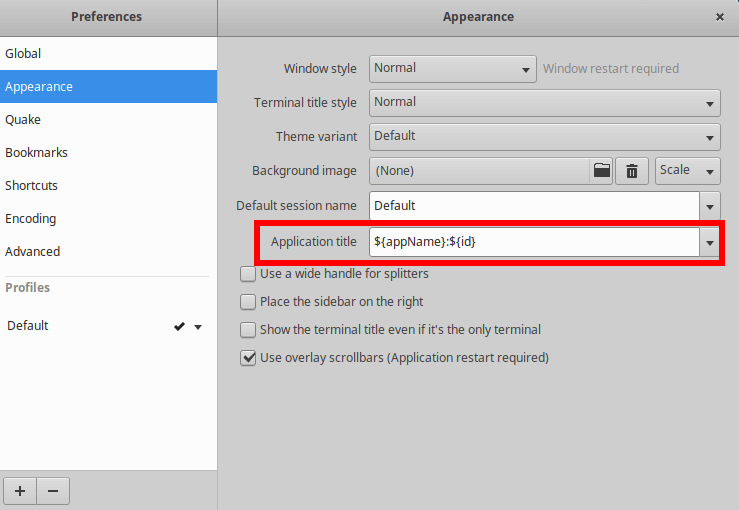 You can configure them in Preferences - Appearance - Application title. This tool also supports a Quake-style mode where the console appears on the top of the screen. You can then toggle the terminal off or on as needed when staying in this mode. You can use this mode by typing tilix --quake. I recommend to bind a shortcut on your keyboard to use this mode, you just have to go to the settings of your window manager and bind a shortcut key to that command. 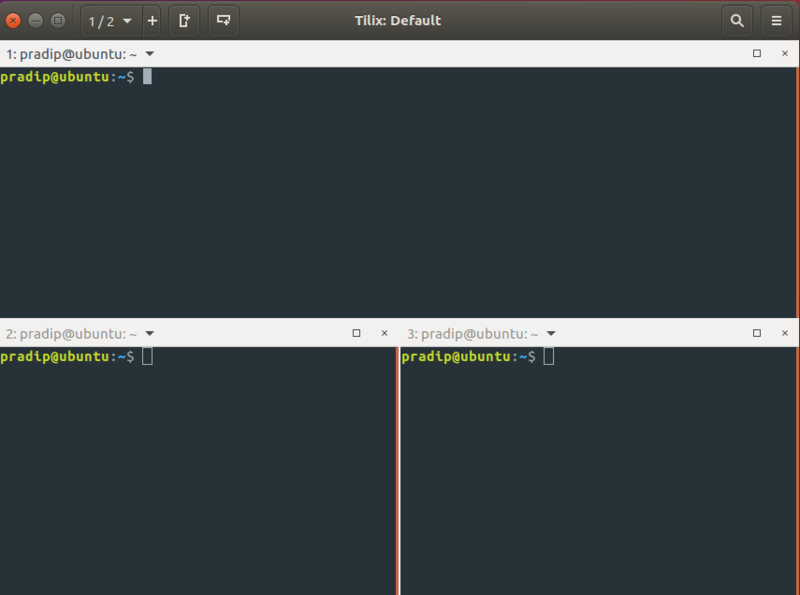 You can create multiple terminals in one pane. You can also create multiple panes and each pane can have a different layout. You can explore that using three buttons highlighted in below screen. 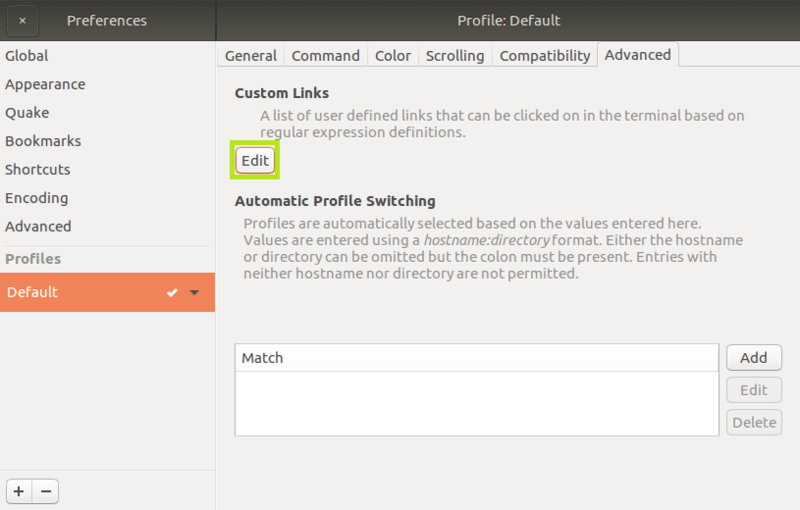 Tilix allows custom hyperlinks to be defined using regular expressions. These links can then be clicked on to launch an application passing information from the match to the application. When configuring the application to be launched, the token $0 can be used to represent the match obtained from the regular expression. If the regular expression includes groups then $1 is the first group, $2 the second group, etc. Refer below images to create custom hyperlink. 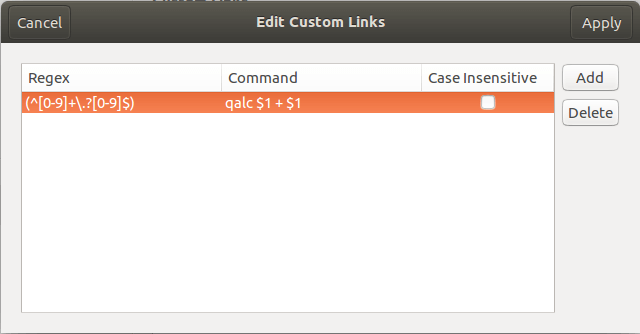 Here is a screenshot showing an example of using this feature to launch qalc with two parameters. 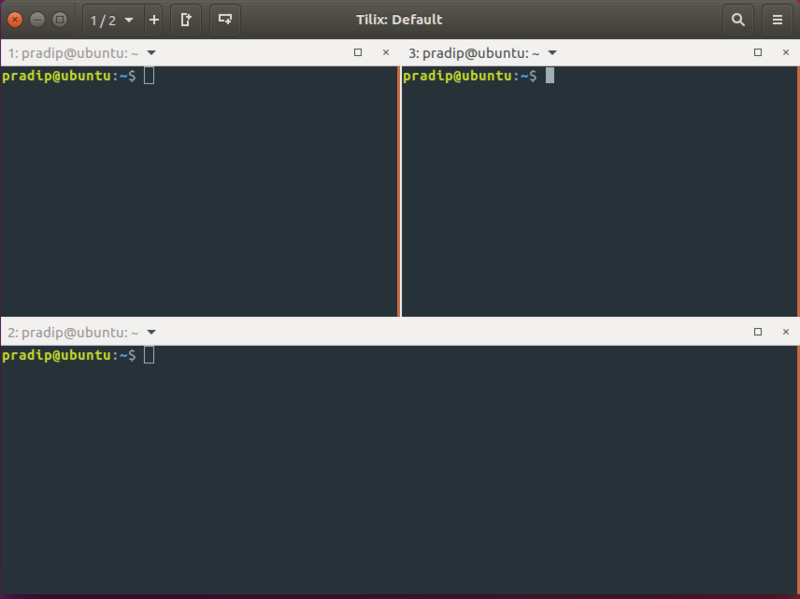 You can change the layout of the terminal in pane using drag and drop, You can resize them and you can also pop out terminal to new window. 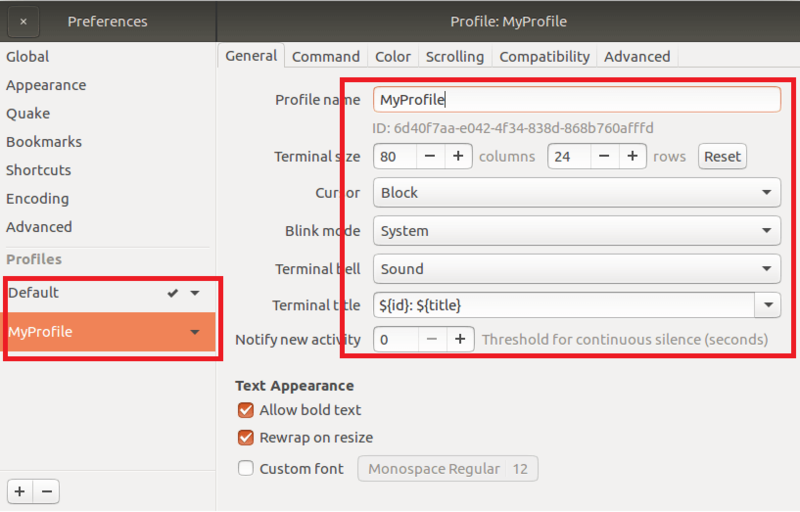 Tilix comes with a feature of a profile. 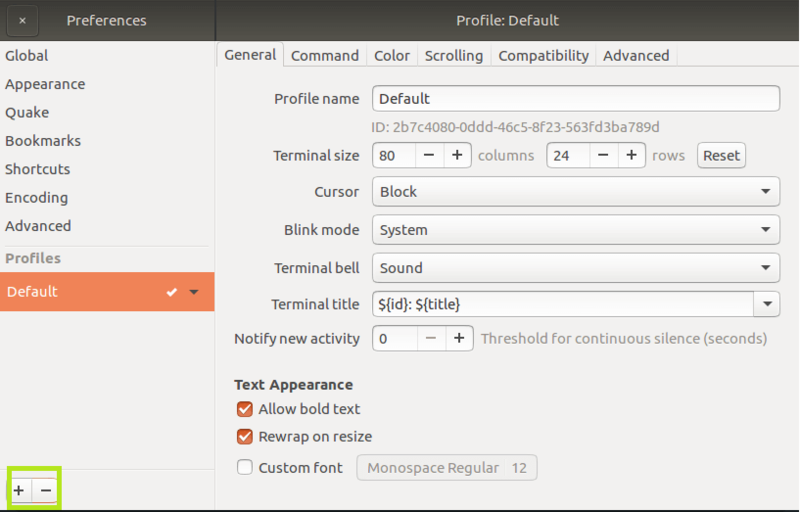 Profile is a state of different settings. You can save different settings and use it in future. To create a new profile, Please see below images for reference. Now, If you are comfortable with some arrangement of terminals and their sizes in pane and you want to use it again in future. Yes, you can save that also on disk and load it again in future. Refer to screenshot to save the layout. You can check more advanced features like triggers, badges and custom hyperlinks in the official documentation. Tilix is an interesting and highly configurable terminal emulator. 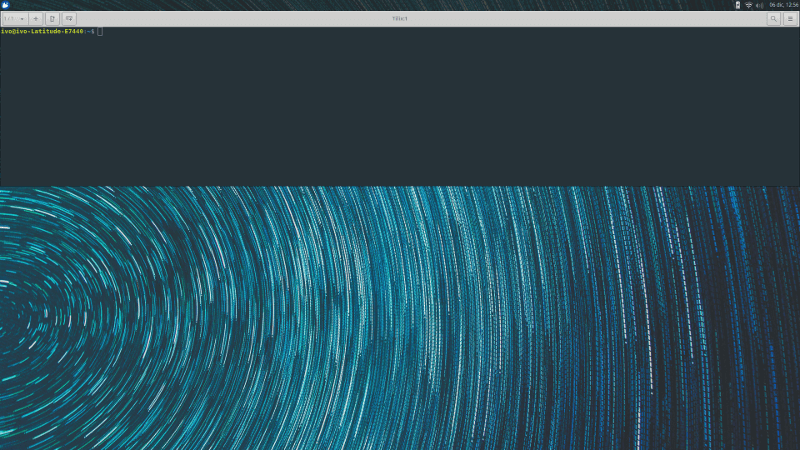 It has some nice UI features due to its modern GTK+ 3 implementation and has useful features for productivity such as terminal tiling, too. 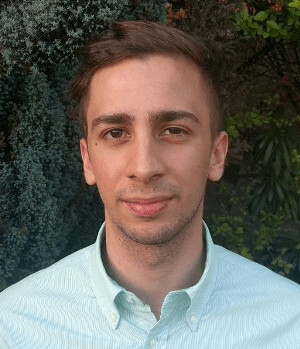 More advanced users can also take advantage of its complex and powerful features like badges, triggers and custom hyperlinks. 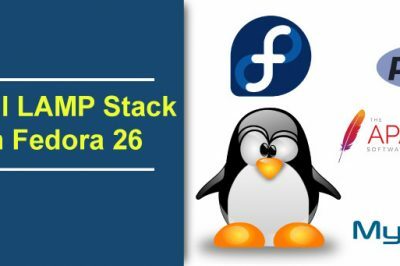 This tool is a good terminal emulator alternative for both beginners and professionals, I suggest you try it and test all its functionalities!